BluPointe Backup offers a backup and recovery service for Office 365. The service handles deleted and you can recover them long after they were cleaned from Microsoft databases. Currently the service works for email messages, calendar items and contacts. Different types of mailboxes are supported (regular, shared and deleted). Backup relies on domain access to Office 365. All accounts in the domain are included into backup. Backup is a useful addition to the Microsoft Office 365 data center redundancy services. Retention up to 7 years. Backup runs every 2 hours. All data processing and storage is kept regional. A SuperUser account for the Console (for adding domains and initiating backups and restores). A Global administrator account for Office 365. To enable backups, add the domain to the Backup Management Console. Log in to the Console under a SuperUser account. Click Add > Office 365. Enter a name for the Office 365 domain you are adding and select the customer it belongs to. Click Connect to enter your Office account credentials. A Microsoft authentication page opens. Enter administrative account credentials for access to the Office 365 domain. If you don’t see the authentication page, make sure your browser isn’t blocking pop-up windows. When the connection is established, click Next. View the accounts found in the domain. Click Next to enable the backup of these accounts. After that, the domain is added to the list of devices. Changed and deleted items in its accounts are backed up every 2 hours. Users of all roles can view Office 365 domains present in the Console. They appear next to regular Backup Manager devices in the Device management module. To filter out Office 365 domains, set the Account type filter to 2 (1 stands for regular Backup Manager devices). Click on a domain name to view its properties and statistics or to re-assign the domain to another customer. On the Exchange tab, you can view all mailboxes present in the domain and remove the deleted and unlicensed mailboxes that you don’t need to back up. It will not be possible to recover previously backed up data from these mailboxes. Open the action menu for the domain. Click Restore. 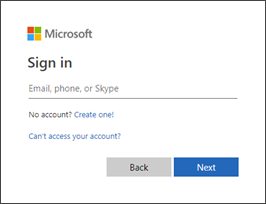 Sign in to the Office 365 domain with administrative account credentials. Get a confirmation that the connection has been successful. Select the account to restore items from. Select the type of data to restore and enter your filtering conditions. Select the items to restore and confirm your intention to start the recovery. Selected items are restored to the original location. A new sub-directory is created there (titled “Restored__DD-MM-YYYY”, where “DD-MM-YYYY” is the recovery date). Items from deleted mailboxes are restored to an alternative mailbox from the same Office 365 domain (specified at the final step of the wizard).